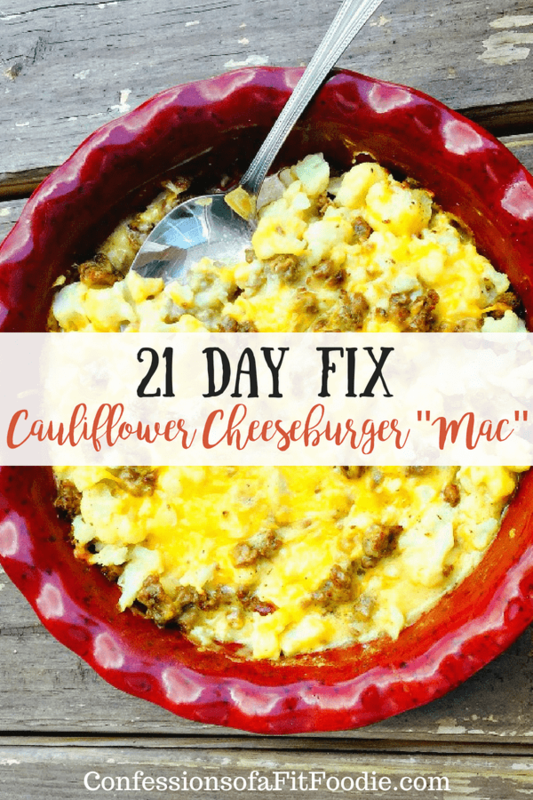 Make this 21 Day Fix Cauliflower Cheeseburger “Mac” in the oven or in your Instant Pot…but make it now! It’s one of my favorite “no yellow” FIX approved meals! Confession #88 – I’ve been struggling on what to call this dish. To me, it’s a cross between Mac and Cheese and Hamburger Helper. Except I’ve never had Hamburger Helper. And there is no “mac” with this cheese. I’m not trying to be a food snob here when I say I’ve never had Hamburger Helper. I grew up in a house where my mom made everything herself – no boxed Kraft Mac and Cheese, no Chef Boyardee. And the truth? I always wanted it. What a disappointment. You were right mom. You can say I told you so. Because you did. So. Many. Times. Anyway, because I never tasted Hamburger Helper, I apologize if my description of this dish is off. But I promise you – it’s delicious regardless. And if you are a lover of cheese, you have to try it! Just look at all of that cheesy goodness! 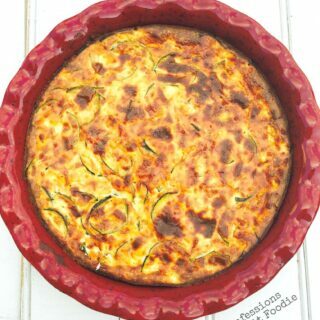 And it is chock full of veggies, so you can have a huge helping of this dish without going over your containers. However you will still want more, so be sure you portion the extra away…and don’t say you haven’t been warned! 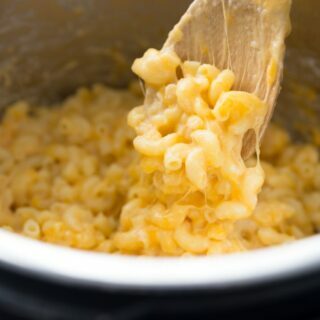 While this recipe was born out of total curiosity, I think it has also given me just what I need for a FIX approved Mac and Cheese recipe! Stay tuned for that one. 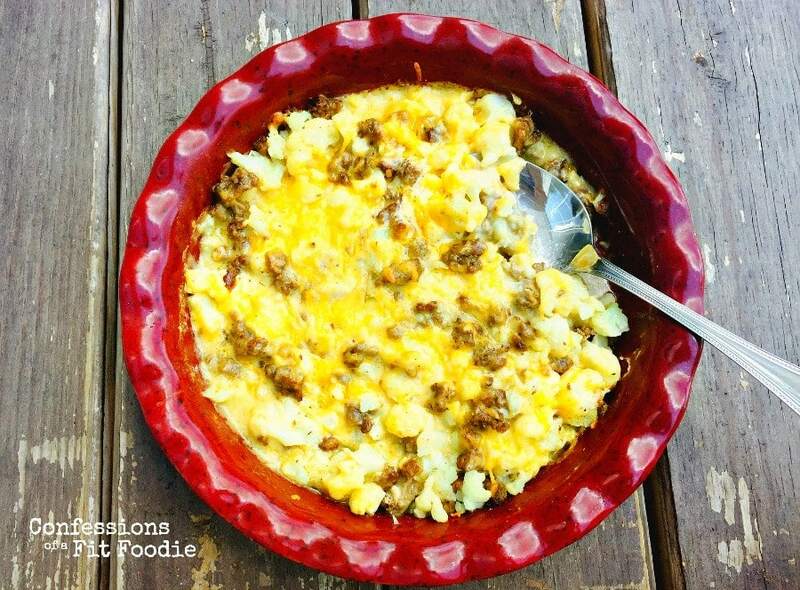 Until then, enjoy this cauliflower creation…it’s a new favorite in our house! 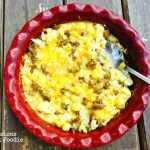 Make this 21 Day Fix Cauliflower Cheeseburger “Mac” in the oven or in your Instant Pot…but make it now! 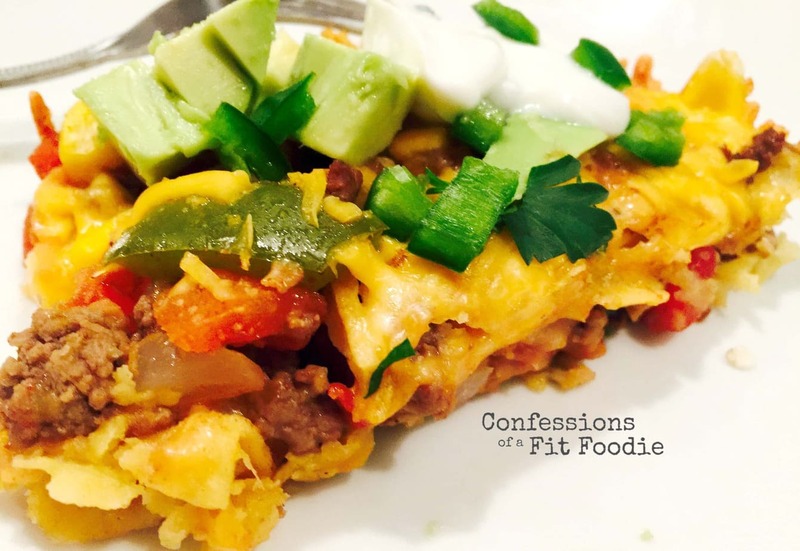 It’s one of my favorite FIX approved meals! Stove Top/Oven: Spray a casserole dish with cooking spray and preheat your oven to 350. In a large skillet, cook ground beef until fully cooked. Drain any excess fat and place meat into the casserole dish. Wipe out your skillet. While you are cooking the beef, cut cauliflower into florets and steam 4 cups worth for about 6-8 minutes, or until tender on the outside but still crisp in the middle. In your skillet, melt butter over medium heat. Sprinkle in the flour and whisk together. Slowly whisk in the almond milk, and continue to whisk until the mixture comes to a boil and begins to thicken. Once thickened, remove sauce from heat and stir in 1 cup of cheddar cheese until fully melted, adding salt to taste. 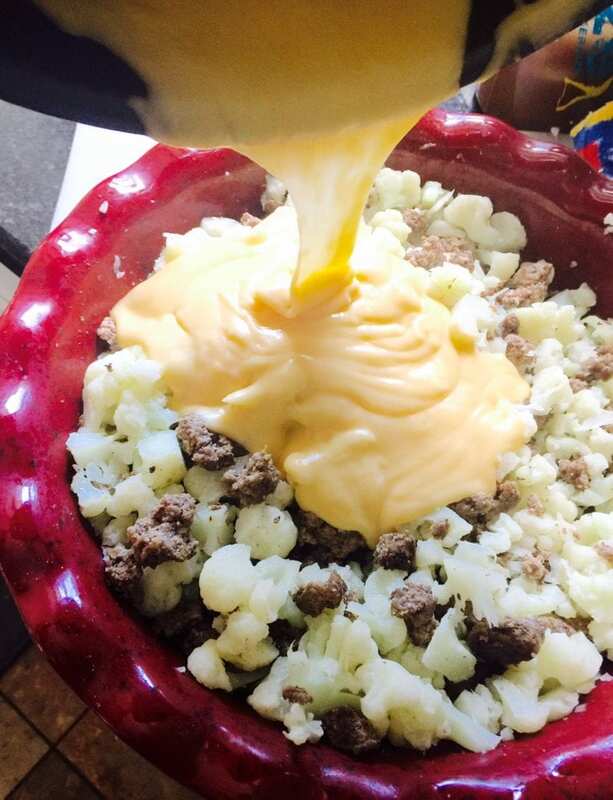 Combine beef, cauliflower, and cheese sauce in the casserole dish and mix well. Sprinkle with remaining cheese and bake at 350 for 20 minutes or until cheese is bubbly and beginning to brown. Enjoy! Instant Pot: Place head of cauliflower on trivet and add in one cup of water to the IP. Set to steam for ZERO minutes. Quick release after pot comes to pressure and carefully remove cauliflower. Cut into little florets and set aside. Drain water from IP and dry completely. Set to saute and add in ground beef. Brown until cooked through. Remove meat and set aside with the cauliflower florets. Wipe out IP and add in butter. Melt butter and whisk in the flour. Slowly whisk in the almond milk, and continue to whisk until the mixture comes to a boil and begins to thicken. Once thickened, remove steal pot from IP base (essentially removing the heat) and stir in 1 cup of cheddar cheese until fully melted, adding salt to taste. 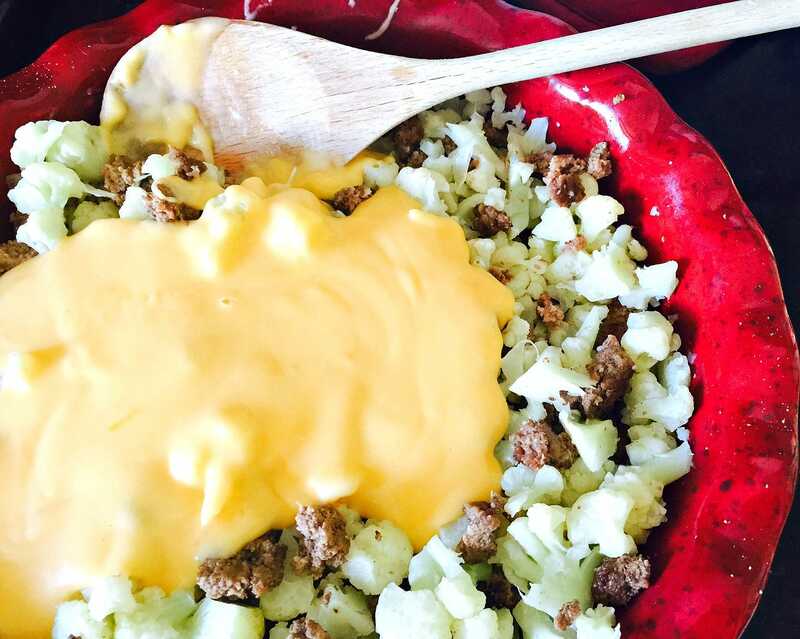 Combine beef, cauliflower, and cheese sauce together and mix well. Top with remaining cheese and place back in the IP on warm. Place cover back on pot until the cheese topping melts and starts to bubble. If necessary, place back on saute for this to happen. Enjoy! You are SO welcome! Thanks for making my day with your comment! Best of luck to you! I do the same thing for my little guy! I use gluten free noodles and he loves it! Oh my gosh- your recipes! 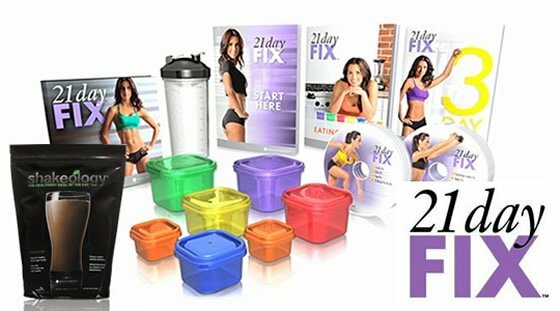 I hate how so many meals plans are SO plain for 21 day fix. What’s the point of eating if it doesn’t taste like anything?! So excited to try them all!! I noticed you used almond milk but didn’t count a yellow. Do you not count almond milk? Just wondering! I definitely don’t follow it to a T. Who has time for that?! I couldn’t agree more!! So happy you found my site and I really hope it’s helpful!! I don’t count almond milk, either – it’s really low in calories and just doesn’t make sense!! This looks awesome!! I’m going to try it 🙂 what container do you use to measure your serving when eating it? It’s 4 servings, so just divide your pan up before serving! 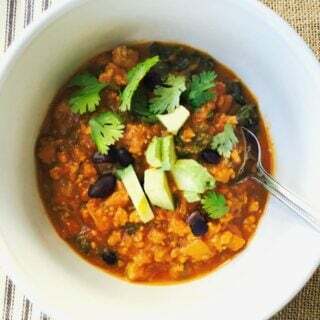 It’s SO good and a huge serving – hope you love it! To find nutrition info, my fitness pal is really helpful! I don’t include it because I don’t count calories…. My kids loved this! They wolfed it down and didn’t even notice it was cauliflower. We put a bit of ketchup and mustard in the mix before baking and served it with sliced pickles on top to make it more cheeseburger-y. Really yummy! YAY!! And I am TOTALLY trying your additions – YUM! My daughter is allergic to almonds. What can I use for a substitute? I don’t know what’s more amazing…that you never had hamburger helper or the deliciousness of this dish! Super yummy, big hit- thanks for sharing! 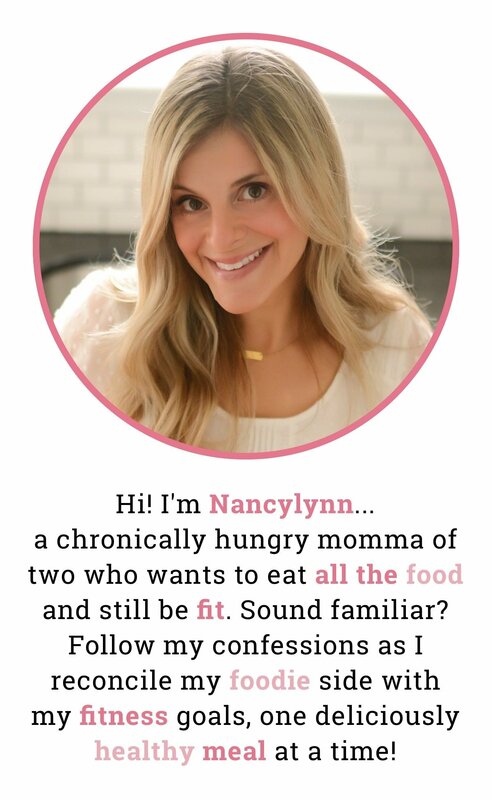 Absolutely LOVE your blog and all your recipies! You are my go to whenever I need a recipy. This Cauliflower Cheeseburger Mac is certainly a “go to” when I am not sure what to make. Thank you and Keep up the amazing work! Maybe just a little…but you won’t have to turn on the oven! And cleanup is easier! This is amazing! Growing up, my mom made Kraft in the blue box with cream of mushroom soup and ground beef. I miss it. This is a perfect replacement! Thank you! Oh my gosh!!!!! Amazing dish!! I doubled the recipe and am SO glad I did!! I think I added a bit more cauliflower then I should have but that’s ok. I definitely am adding this to my favorite list! My family LOVED this dish! It filled us up and curbed some of my cheese craving! Thank you! Hi Nancy! How do I portion this out for meal prep? Hi Liz! Just divide your skillet into 4 equal servings to portion out! Do you think it would work okay with a bag of riced cauliflower instead? Hi! this looks amazing! question though – will this be good as leftovers? it’s just me and like to “meal prep”. I’m thinking to have this every day for lunch next week but not sure how it holds up. Any have this over the course of a few days? Thanks! Great question! And it’s SOOOO good leftover, so go for it! How would you adjust this for 2BMindset? Also what do you serve with this typically?? I would use reduced fat cheddar and serve it with an extra side of veggies! Or maybe reduce the amount of meat and add in more cauliflower or broccoli! Usually an 8X8 square pan! I am so excited to find your blog. This looks amazing. Do you think guar gum will work instead of flour? Hi! I haven’t tried it, but it should actually work ok! And I’m so happy you found me, too! Hope the recipes help!